... i feel comfortable with that size but i have never run a saltwater system before. i have run freshwater systems in my apt. before. i made them myself using earthbox planters with a 1/4inch rubber testtube stopper to plug the drain hole in the box and then hung pump/filter unit over the rail on one end. they just sat on the floor. the earthbox is intended as a garden system ( EarthBox - Home ). they were a sort of lili-pond lagoons with a couple of goldfish. they ran with very little maintenance. it worked like a charm until my lifestyle changed and i could not care for it any longer. so i dismantled them. because it is so dry in las vegas an aquarium really makes thing nice indoors here. it keeps the humidity more pleasant and i think that a saltwater system will be even more pleasant because of the ionic properties of the salt water. 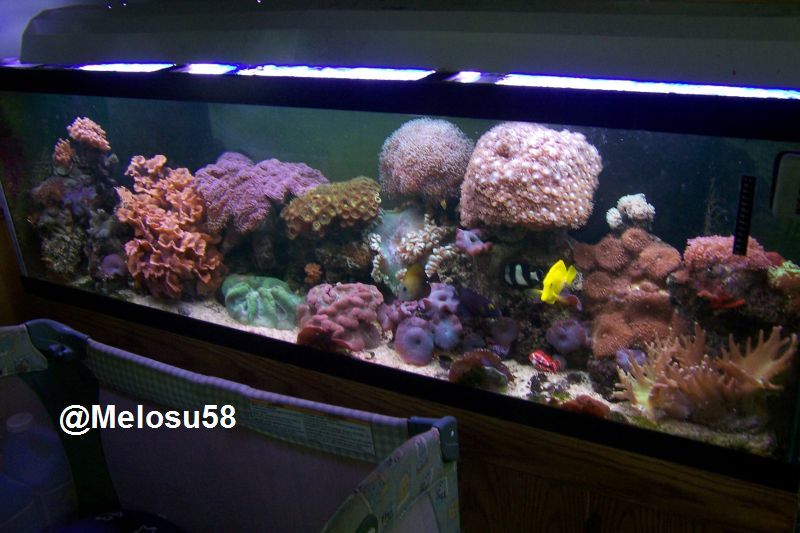 plus if i get a store bought system i will be able to actually view the exotic fish. unlike mine which were like indoor ponds. please advise on different systems, tips tricks, tutorials, etc. basically where to start. i don't know where to begin except the tank, the stand and where to place it in my home. thank you in advance for your help and advice. i am sure it will be most authoritative. peace, love and free software!